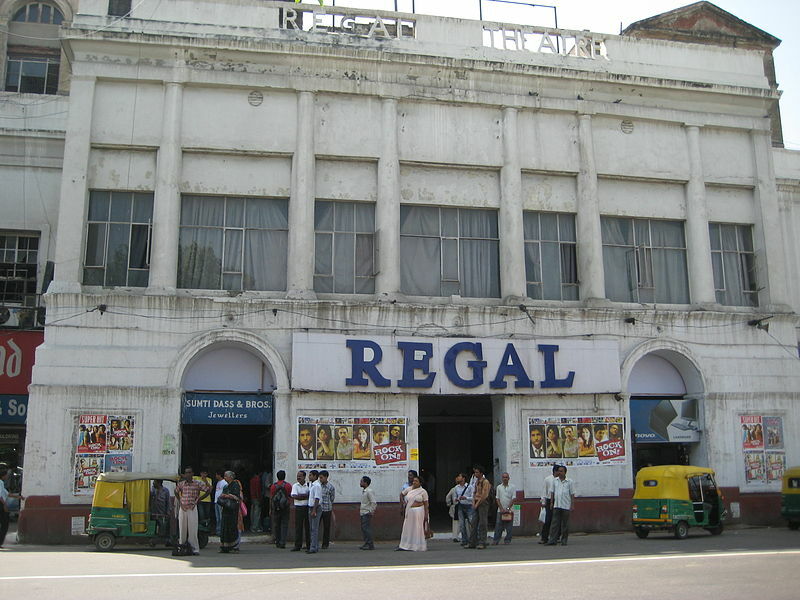 Rediff.com » Business » Connaught Place has something for everyone! Connaught Place has something for everyone! Once in decline, the central Delhi landmark is buzzing with new restaurants, cafés and public events. Walking through the colonnades of New Delhi’s Connaught Place, I mutter “Excuse me” like a consistent chant to find my way through the sea of humanity. It is Saturday night. We friends have decided to enjoy an evening out. The parking lot in front of the meeting point is chock-full. I find a slot a few blocks away and begin the walk to the rendezvous. The tall Statesman House, done up in brown sandstone, looms behind me. There are people everywhere. A young woman looks across the street and reads a green board that says Monkey Bar. She squeals in delight and calls her friend to tell him that their favourite party place is here. Some others can be seen discussing the merits (prices of drinks, actually) of the various watering holes: Route 04, 100 per cent Rock, My Bar, Beer Café, Warehouse Café and Town House Café. A few others search for restaurants on their smartphones. It’s 10:30 pm; the party is in full swing. Delhi, infamous for its non-existent night life, seems to have spilled onto the pavements of Connaught Place. Inside Warehouse Café, all the 75-odd tables are occupied, the music is groovy and waiters dart around with orders, carefully balancing beer and kebab. Leather sofas and bar stools give it the semblance of a club, while the dim lights make it hard to even read the menu. The queue of waiting guests snakes up to the elevator outside. The lucky ones will get a table in 20 minutes. For others, it could be a long wait. The 10-odd tables on the rooftop too are full. Beer mugs vie with ashtrays and hookahs for the attention of the guests. A large projector screen shows a cricket match, but it is largely ignored. There is a slight nip in the air. The giant Tricolour installed by industrialist-politician Naveen Jindal looms in the distance. Selfies are taken non-stop. It’s not just youngsters out for a night of beer and chicken tikka — people have come here with their kids and parents. Festivity is in the air. The scene is no different in the other restaurants: loud voices, drinks, food and endless crowds. The ancillary industry too is doing brisk business. Parking attendants, pavement booksellers, ice-cream kiosks, paanwalas and beggars are all happy that the crowds are back in Connaught Place. The next morning, there are no signs of the night’s revelry. The streets have been cleaned — almost — and the boisterous cavalcades are nowhere to be seen. But the crowds are still here, disgorged by the Metro from as far as Noida and Gurgaon. Some 5,000 people have taken over the roads, pavements and parking lots by 10:00 am. Housewives do the Zumba, while their children run and cycle around the Central Park. Young couples, dressed sportily, click selfies between yoga sessions. Out-of-shape men and women try their hand at the open-air makeshift gym — the equipment could be straight out of The Flintstones. This is Raahgiri, an initiative launched by the New Delhi Municipal Corporation to draw people to Connaught Place. Seeing the crowds, restaurants like McDonald’s and Amit Burman’s Fresc Co have decided to raise their shutters early for breakfast. Connaught Place is in business. Connaught Place, a collection of white two-storey buildings in concentric arcs, was built in 1933 to house offices, theatres, shops and eateries, though about 50 families lived here too. For long, it was the city’s only business district. In its heyday, top-notch businessmen operated out of this place and its neighbourhood: Bhai Mohan Singh of Ranbaxy, Har Prasad Nanda of Escorts, Lalit Mohan Thapar of Ballarpur Industries, the Shriram family and the Dalmias, to name a few. 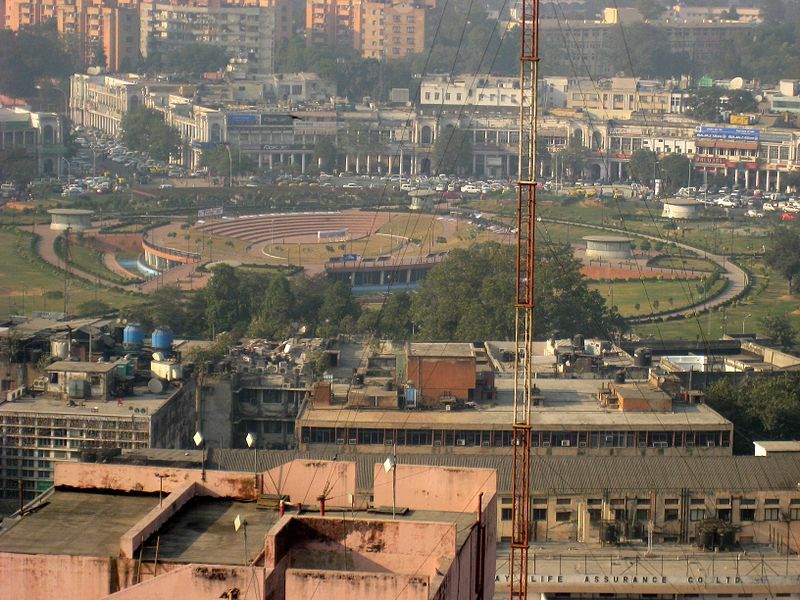 Maruti Udyog was located in a high-rise that overlooked Connaught Place. It was natural for their executives to hang around here. The shops and restaurants thrived on their custom. Then, in the 1990s, the companies started to move out because they had become big and needed more office space. Many chose Gurgaon which was distant but offered plenty of real estate. This robbed Connaught Place of its sheen. The next blow came from the air-conditioned shopping malls that sprang up elsewhere in the city and suburbs like Noida and Gurgaon. Around the same time, the construction of the Delhi Metro began. The Connaught Place station was planned as an underground junction. Traffic diversions came up overnight. The Metro’s blue barricades intimidated visitors. 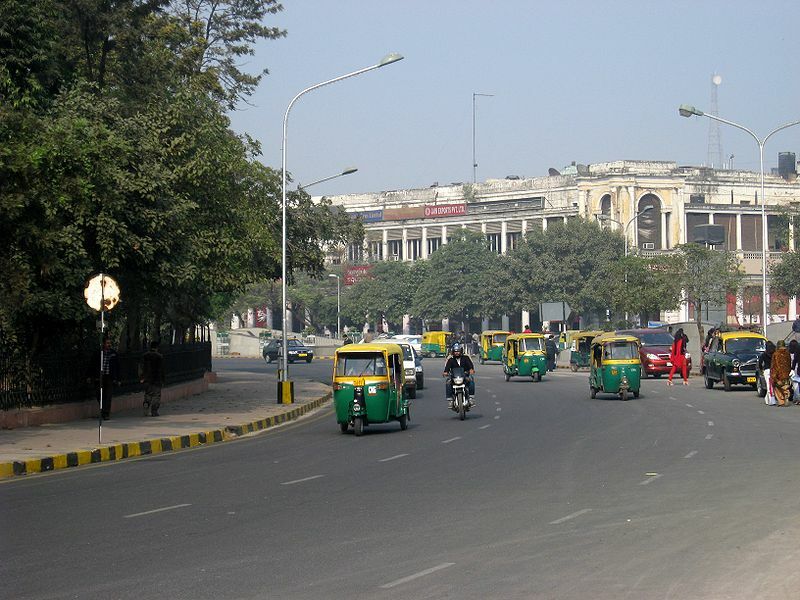 In 2008, the New Delhi Municipal Corporation decided to give Connaught Place a facelift. The subways were to be improved with better lighting and escalators, power cables were to be put under ground, buildings were to be repaired and the whole place was to be given a new coat of paint. Like all things sarkari, there were inordinate delays. Crowds, as a result, deserted the place — there was no fun left. They preferred to go to chic Hauz Khas Village, upscale Khan Market or the malls in south Delhi. Some stores in Connaught Place shut down. Others grumbled as business dwindled. 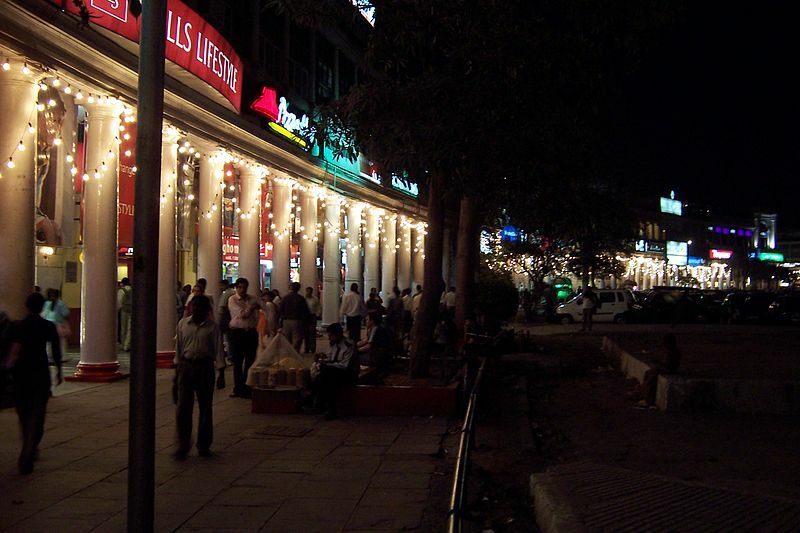 The renewal project finally got over in 2012 and Connaught Place was ready to welcome visitors once again. Meanwhile, the malls began to lose their pull. Hauz Khas and Khan Market became overcrowded and a parking nightmare. Connaught Place, on the other hand, was easily accessible by the Metro — the Rajiv Chowk Metro station fetches 350,000 people every single day. This provides ready footfalls for the shops and restaurants. Never before has a commercial hub bounced back so strongly in the whole country. The only place that comes close to it is Horniman Circle in south Mumbai. The telltale signs are all there: garbage bins overflow and paan stains have disfigured the white walls and pillars once again. But nobody is complaining. Burman, amongst the country’s top restaurateurs, discloses that he had thought of moving Fresc Co out of Connaught Place two years ago but is glad that he “stuck around for this revival.” Manu Chandra and Chetan Rampal, the owners of Monkey Bar (restaurateur AD Singh has also invested in this chain), say the reason they chose Connaught Place for their second outpost in Delhi (the first is in Vasant Kunj) is the nostalgia everyone associates with this place. Monkey Bar pays tribute to Lutyens’ Delhi through its menu. A sweet-sour drink called Shazia Imli makes me read the menu twice to see if I’ve got it right. “We’re excited to be a part of the excitement that has returned to the heart of the city,” says Chandra. When Starbucks opened here in 2013, people trudged all the way from Gurgaon to sip its coffee. Nobody minded waiting for up to an hour before being allowed in. Near the Odeon theatre, Shuklaji, a popular paanwala, complains about the young women who come here to drink but admits business is booming as he deftly folds paans for a bunch of youngsters in an Audi sedan. One would expect Warehouse Café to be empty at “dead meat” hour: 5:30 pm on Thursday. It isn’t. There are a few guests sprawled on the chairs, snacking on finger food, swigging from their beer mugs and watching a cricket match. The people who own this place run three more restaurants and lounges in Connaught Place: Town House Café, One Café Lounge and Boombox Café. An executive tells me that there is still a lot of space left in Connaught Place but one has to find the right location. The next day I visit Capital Estates, a real estate brokerage in the area. The office is cramped, divided into three small cubicles. The brokers say saleable real estate has become scarce in Connaught Place because a lot of the properties are under litigation: old tenants are reluctant to vacate, while landlords know this is the opportunity to make money and hence want them out. As a result, rents have climbed to Rs 350 per square feet in prime sections, up 75 per cent in the last three to four years. While restaurants, cafés and lounges are central to Connaught Place’s renaissance, retail stores are also benefiting from the bustling crowds. Store managers are edgy about discussing sales figures but admit business is on an upswing. A manager at a popular sportswear store tells me that there has been a 20 per cent increase in sales, which, he says, is a conservative estimate. Some apparel stores don’t want to give the credit to the new-found night-time revelry. “We have always done well, especially because shoppers come to us throughout the day. This nightlife that you talk of is just a fad,” says the owner of an apparel store. Sometime in 2008, my father and I had come to Connaught Place for dinner. It was 9:00 pm, and he steered me away from the deserted pavement to the parking lot for security. There was rubble on the pavement and the smell of tobacco and marijuana hung in the air. That whiff of marijuana is still there. For many, this is the seamy side of Connaught Place which makes it unsafe to be out during the night. Drum beats billowing from his SUV, Rahul Jain, who lives and works in Gurgaon, points to a beggar. “Despite all this redevelopment, the police haven’t been able to do anything about these people,” he says. 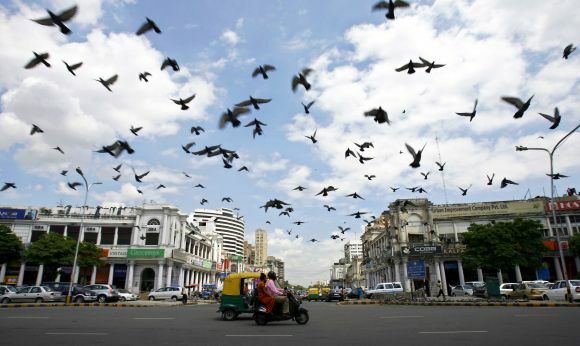 Like a chameleon, Connaught Place changes its character almost completely during the day. The frenetic energy of the evening is nowhere to be seen during daylight; instead, the place oozes old-world fursat. Middle-aged men meet for reunions at iconic restaurants like United Coffee House and Zen. With a steady stream of niche, loyal customers, these old restaurants say they have never had anything to worry about. A few stores aren’t happy about the change. “I think the gentry has significantly deteriorated over the last couple of years,” says Karan, owner of cosmetics store Options. One corner of Connaught Place has emerged as a rendezvous for members of the LGBTQ community. Dressed in a flamboyant shirt, beige trousers and suspenders, Sanjeev (not his real name) is out in style. The heady perfume cannot overpower the fragrance of the paan he is chewing. “I won’t tell you the location, but there’s a gay party in Connaught Place tonight. We need to socialise, you know.” According to him, the “food revolution” here has made it easier for people, straight or gay, to have a happening social life. But does he not fear police action? “We take safety in numbers. There is nothing illegal about taking pride in your sexual identity and meeting people who share your perspective,” he says. A young woman halts our conversation to greet him and offers him a swig from her can of Red Bull. A few others join in and they want to eat butter chicken at Kake Da Hotel. One of them insists on pasta at one of the cafes. They settle on a quick coffee at Starbucks before they head to the party. Connaught Place has something for everyone.